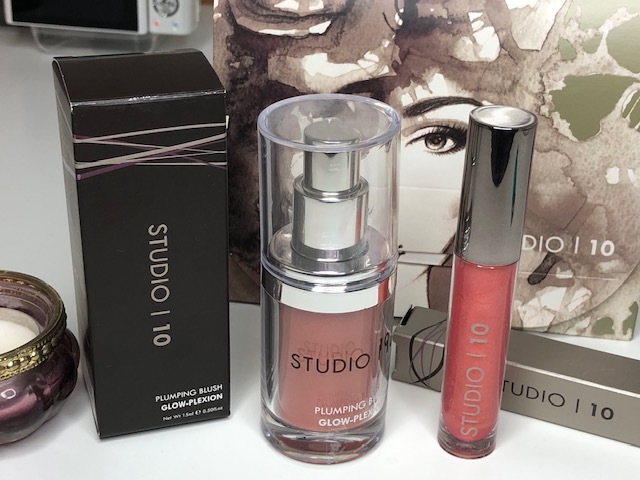 As you know from previous blog posts Studio 10 is not a new brand to the blog I have written about them many times previously here. 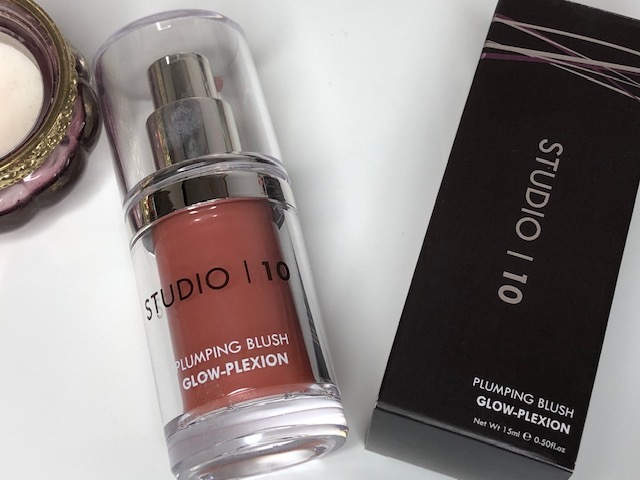 There is something particularly lovely about this brand in that it has a natural looking flattering way of giving you makeup that's enough but not overdone, the shades are particularly flattering to mature skin. I would say it's makeup that softly whispers beauty rather than screams it in your face! This time around we are discussing two products in the range that are both new to me. Typical of me a product arrives and I just dive straight in without exploring fully, I thought this was just a very large pump of blusher! Nope it's way more than that, of course it can be used as a blush applied over foundation, this gives a beautiful soft flattering result, but do be careful as you need the tiniest amount. The product can be used in a number of ways - As a blush, primer, mixed with body lotion or worn alone. Of course I had to test all of these, as I said it's great as a blush, I looked at it thinking there is no way on this earth that shade could be used as a primer, not in this flipping lifetime! but away I went, I applied the two good pumps across my whole face and quite frankly looked pretty pink, shocked? yes but I continued, applying foundation directly on top was a serious eye opener, I didn't look bright pink I has a really lovely soft glow to the skin that was warm but not noticeable as actual makeup. Really quite clever! The product contains Adipofill™ which helps plump and lift the skin to make it look more naturally rested. I would not personally wear this product alone as it was way to pink for me. I did however mix a couple of pumps with some body moisturiser and this did a fabulous job of brightening the look of the skin which at this time of year is an enormous help. This three in one formulation that is a balm, treatment and lip gloss all in one. Containing Hyaluronic Acid the gloss plumps and conditions the lips without any sting. 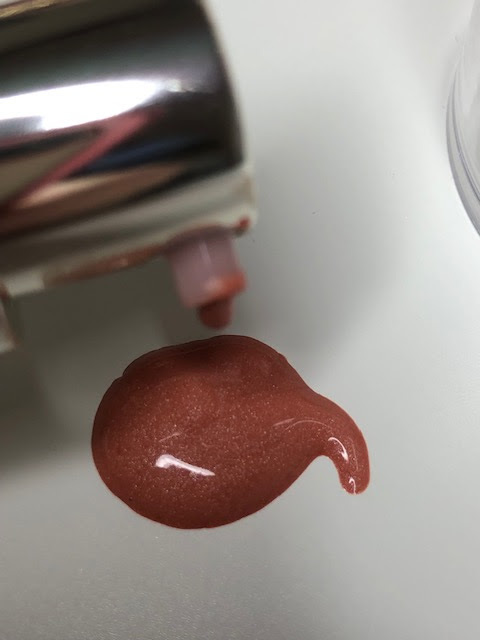 the peachy golden tone smooths onto the lips with a very slight pigment that picks up more in the light being golden and peachy that looking like a lipstick. Comfortable to wear and is actually really long lasting and moisturising, which again is absolutely perfect for this time of year. 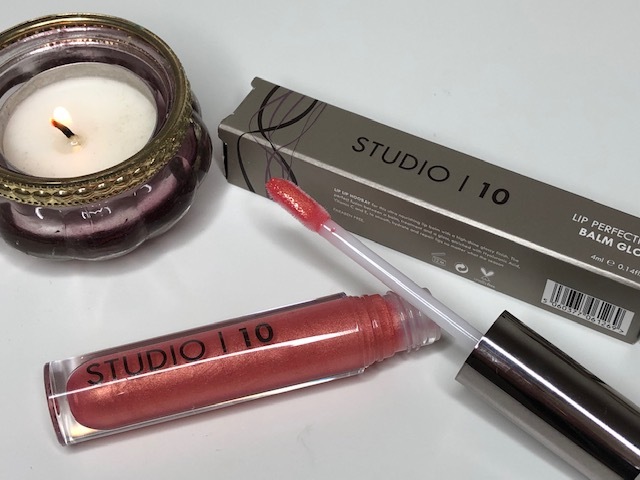 The nice thing about this gloss is that is working to condition while looking super pretty at the same time, it really is incredibly flattering and works well with most make up looks. Post contain gifted brand/ agency samples unless stated. No affiliate links.